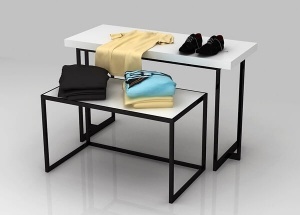 This shop display tables can be made 2 tiere, 3 tiered as you want. 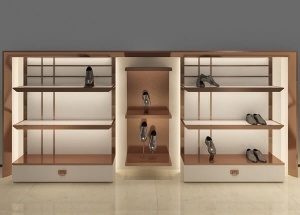 It's used to display shoes, bags, clothing in retail store. It is made by wooden(MDF), metal, store fixtures, etc. This wooden handbag display stand is widely used in handbag, shoe, gift, toys in store for wall displays. It is made by wooden(MDF), metal, Led lights, store fixtures, etc. 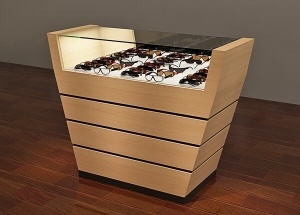 This glass sunglasses showcase is covered by wood veneer.It is used display eyeglass frame and glasses peripheral products in optical shop,mall optical kiosk.The glass showcases is made by wooden(MDF),glass,LED lights,metal fixtures,etc. The shoe display ideas are from Catalog shoes store project. The shop displays main material are wooden(MDF), LED lights, etc. 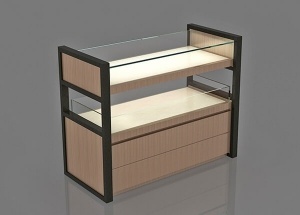 This jewelry display cases are glass top, steel frame, wood legs. It's affordable, practical, simple and yet attractive. contact us to get a free quote. 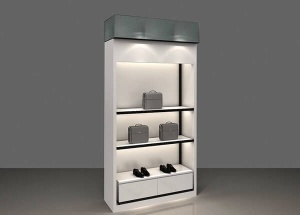 This glass optical frame displays: tempered glass, laminated deck, wood veneer, halogen light strip, storage with hinged door (can lock), toe-kick, levelers, storage cabinet, dust resistant,electrical cord with switch, LED lights, metal fixtures. 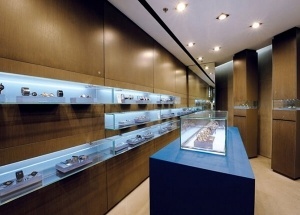 This watch store design is for Calvin Klein watch store project. It's about 200 sq ft. 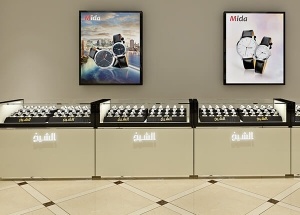 This watch store furniture was design for a small Mida watch shop . 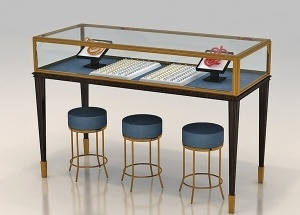 we are watch display furniture manufacturers.